First take a backup of your iPhone using iTunes. Use the "Backup" button to backup your device - You will need to check the "Encrypt iPhone backup" option if you are using iOS 12. Run the program by right-clicking on the pinfinder icon and selecting "Open" - you may see a warning which you'll need to accept to run the program. Pinfinder can recover restrictions passcodes from encrypted backups, as long as you know the password used to encrypt the backup with iTunes in the first place. NOTE: If you are using Mac OS X Mojave (10.14) you will need to allow terminal programs to access the backup data created by iTunes. 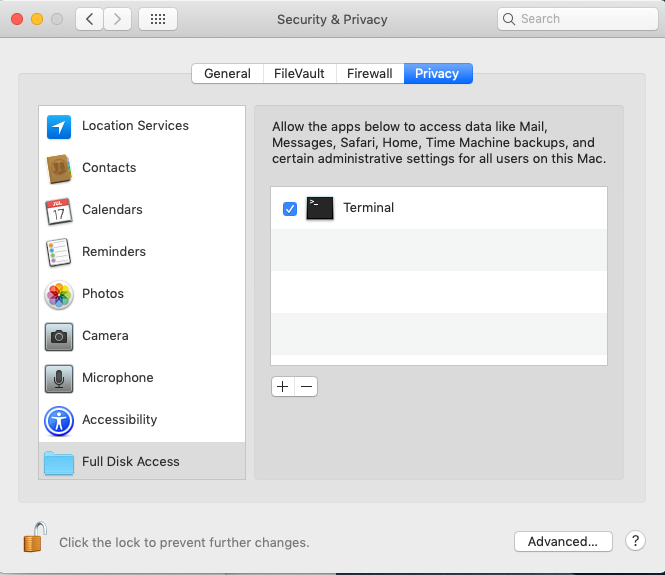 To do this, open the "Security & Privacy" pane in System Preferences, select the "Privacy" tab and add the "Terminal" program (located in the Application->Utility folder) to the list of allowed applications. Did it work for you and save your data? Please consider donating a few dollars to say thanks!